Everyone knows that Las Vegas gets hot in the summer. From June through July, it’s not uncommon for temperatures to stay in the 90s or much higher with even scorching nighttime temperatures. The heat isn’t just hard on people and pets; it can also put a lot of strain on your car. 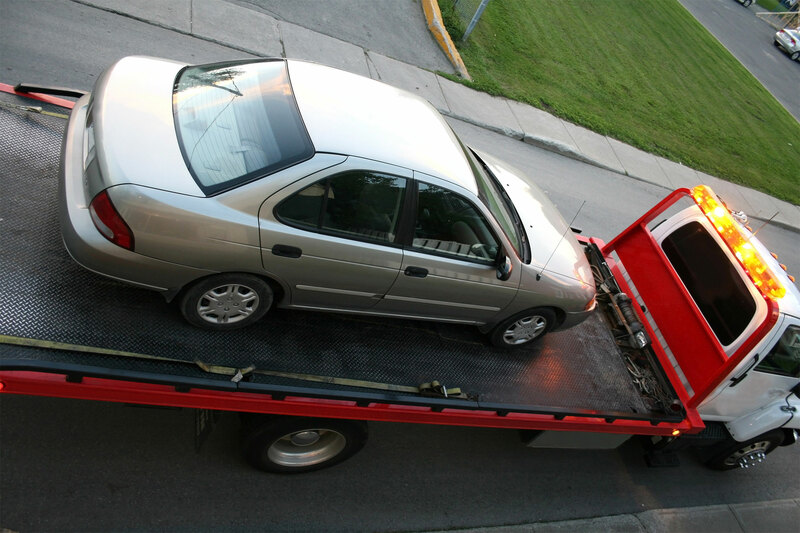 The good news is there are several steps you can take to reduce your risk of a breakdown during the summer and avoid a call for cheap towing in Las Vegas. Dead batteries are a common reason for motorists to call a tow truck company in Las Vegas for roadside assistance. It’s a common misconception that car battery problems only occur in very cold climates but summer heat can be even worse on your battery. That’s because vibration and heat are the biggest problems that cause internal breakdown of the battery and failure. While you can’t do much about the heat, you can make sure your battery is secure to reduce vibration. Because the battery fluid evaporates faster in the summer, which can corrode connections and terminals, take the time to clear the corrosive build up on the clamps and terminals to make sure your battery will be able to start. If your battery is getting old, have it tested to figure out how much longer it should last. Like dead batteries, flat tires are a common cause for phone calls to our towing company in Las Vegas in the summer. While you can’t always avoid a flat, there are ways to reduce the risk in the intense summer heat. Has it been a while since you checked your tire pressure? There’s a good chance your tires are under-inflated which impacts braking and handling but also increases the risk of overheating and blowouts. The higher the temperature of the road, the greater the risk. Check your tire pressure when your car has not been driven too far and make sure it’s inflated to your manufacturer’s recommended pressure, not the number on the tire sidewall. — Engine oil. Regular oil should be changed every 5,000 to 7,500 miles while full synthetic oil should be changed every 10,000 miles. Between oil changes, make sure your engine oil doesn’t run low by checking the dipstick under the hood. — Coolant. Your antifreeze is especially important in the summer because it removes heat from the engine. When it gets old, coolant becomes acidic and can contribute to rust that corrodes the radiator, cooling system, water pump, and other components. It can also cause your car to overheat in the summer. Most newer cars only need a coolant change at 60,000 or 100,000 miles. — Transmission fluid. Your transmission fluid should never run low, which indicates a leak, but it does become old and ineffective eventually. The fluid should be red. If it’s brown or smells like it’s burnt, it needs to be changed. Depending on your car, you may need a transmission fluid change at 60,000 miles or up to 150,000 miles. — Brake fluid. Your brake fluid is responsible for causing your brake pads to clamp down when you step on the pedal. If your brakes feel spongy or delayed, you may have a brake fluid leak or the fluid is contaminated. Finally, be prepared for a potential breakdown in the summer by keeping an emergency kit in your car. This kit should include road flares, water, jumper cables, and a first aid kit. It’s also a good idea to keep the contact information for a reliable towing company in Las Vegas in your car in case of emergency.